Having a party at a park and need power? 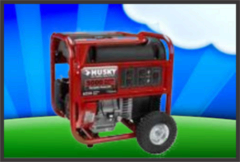 We have Generators available that can run up to 6 different blowers. They come filled with gas that will last 8 hours.